Few things are as frightening as suffering a catastrophic injury. Whether you or a loved one has been injured due to someone else's misconduct, catastrophic injury claims require the immediate attention of a legal professional who will go the distance for your case. At Parr Richey Frandsen Patterson Kruse LLP, our Indianapolis catastrophic injury attorney is completely dedicated to securing the maximum compensation for you so that you can recover properly and return to living life actively! If you or your family member has been catastrophically injured, you have the right to bring legal action against a negligent party for your physical and medical injuries. Parr Richey Frandsen Patterson Kruse LLP has been tenaciously fighting for injured victims' rights before all branches of local and state government since 1899. With more than 75 years of combined legal experience, we use our extensive knowledge of personal injury law to obtain the best possible compensation after you have suffered from the misconduct of someone else. Catastrophic and life-threatening injuries are typically caused by an accident, negligence, or medical malpractice, and could affect the rest of your living years. Resulting from a variety of types of accidents, catastrophic injuries can result in a lifetime of medical care or even permanent financial hardship. Unfortunately, many wrongful death claims can come out of a catastrophic injury from which a victim was unable to survive. The shock and emotional distress that are often associated with catastrophic injuries can be greater than any other type of personal injury. You deserve the best possible settlement! Our successful verdicts have enabled families and surviving loved ones to provide for significant and long-term medical care needs, avoid the challenge of financial burdens, and afford all necessary rehabilitation treatments. You can't afford to lose! 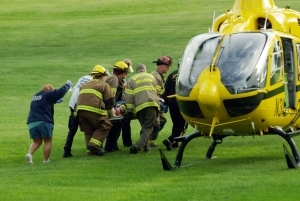 The cost of a catastrophic injury can be debilitating in more ways than one. We know how important it is for you to obtain compensation so that you can recover quickly and return to living your life normally. If you need an Indiana catastrophic injury lawyer, Parr Richey Frandsen Patterson Kruse LLP can offer personalized, compassionate advice for you through this time! We will work tirelessly to help you achieve the best possible outcome. We have successfully recovered million-dollar settlements for our past clients and we are happy to work on your behalf as well. Contact our firm to schedule your free case evaluation ! We have offices located in Indianapolis and Lebanon, Indiana for your convenience.